Why did the examiner stop me from speaking? Why did the examiner not let me finish what I was saying? I just had my speaking test yesterday. the examiner seems to be very friendly and cordial but one thing which puzzled me was that the examiner did not let me complete what i was saying and instead kept saying thank you for each and every question. does this have any sort of impact on the score?? because i feel that a test which would go about 15 mins got over in 5 mins itself. so guys please i would be greatful if you could clarify this. Comments for Why did the examiner not let me finish what I was saying? Maybe the test just felt quick, as it will always be 11-14 minutes. The examiner will have to get through all three parts in that time, so that is likely why they were saying thank you, so they could move the test on. It won't affect your score. I had a test today. My test is 15 mins long and several times my teacher stops me before finishing my answer. It happened in 1 part 2 times and in 3rd part after every question she asked, also she stops me on 2nd part before concluding my answer. What will I assume?? Low score or a disinterest from teacher as she was very rude lady in mid 60's. The speaking test should be 11-14 minutes so your test was fine for the length. The examiner has the three parts and a certain number of questions to get through in that time, which is why she would have interrupted you at times. Well good to hear that, now relieved as i was concerned because i think my examiner is disinterested. In part 1 she asked about my job which last i think 4 min but she didn't ask any question rather than stop me before finishing. And in part 2 in between my answer she stopped me and asked a different question and them again come to the question related to part 2. Also tell me has anyone also experienced a bad behavior from the examiner who is doing the exam as this could cause a lot of tense in the exam. Or do need to place a complaint on my listening test day about this behavior which i experienced during my speaking test?? I don't think you will get very far complaining about your examiner asking you questions during the test and making sure that they get through all the required questions as that is their role and what they are supposed to do. I'm not quite sure what you mean about part 2. You do have a couple of follow up questions after the 2 minute talk, but apart from that there are no questions. You prepare the topic then talk about it for around 2 minutes. But if you really feel that the examiner was not running the test properly then you could make a complaint. I'm not sure what they would do but if they felt something was wrong then they may listen to your test again. But really from what you have said it just sounds like a normal test. 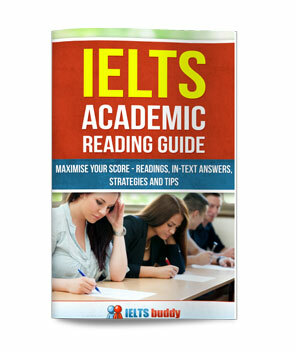 The examiner stopped me in the IELTS speaking - how will this effect my score? Hi, I had taken my speaking test today, what worries me is that the examiner stop me twice. Once in part 2 and another question in part 3. I may think i had a long answer. Also, I was bother coz in part 2, the question was related to event in my childhood but my answer was the event when i was 21 that i remembered much. Am i off topic? How will it affect my bandscore? Comments for The examiner stopped me in the IELTS speaking - how will this effect my score? It's really not possible to tell you about your score from the things you have mentioned. You may have simply been stopped because the examiner wanted to move onto some more questions. It doesn't necessarily mean you did anything wrong. And again, it's difficult to judge how your part two may have been viewed. If you spoke well and organised it well your score may not necessarily be affected overall. So I would not worry about that, and just wait for your result. don't worry that examiner has stopped you twice, as time factor is important for him/her. They need to complete it, asap. So they do sometime makes the candidate to stop. No there is no problems. The examiner will have needed to ask you another question as the time for the test was probably not up (the last part has to be at least 4 minutes). So when the time is up the examiner can stop you if they like. It will not have any impact on your score. The examiner stopped me from speaking in part 3 - did I do something wrong? I had my ielts speaking test last Friday. In the section 2 I was asked to describe a success I had in my life and I spoke about my work with a volunteer organisation and how I worked with them to save two street dogs from getting euthanasia. In the later section she asked me about success in work life and reasons behind it. I found that while I was answering my examiner completed my answers. It seemed she was in a hurry. Is it a sign that I was not well perceived in test? Comments for The examiner stopped me from speaking in part 3 - did I do something wrong? I'm guessing by 'completed' you mean that she stopped you speaking during your answers ('completed' is the wrong word to use - that would mean that she finished the answer for you). Remember that the exam has a time limit of about 14 minutes total (and 4-5 minutes in part 3). The examiner will want to ask you a range of questions in that time (rather than just a couple), so this is likely the reason that she moved you on. It is unlikely it was because your answers were wrong. It is important to practice part 3 - although you should extend your answers to give a full response, don't overdo it. Get to the point you want to make in enough time. However, saying too much is of course better than not saying enough. I can't really explain that then if your examiner was answering the questions for you. If you mean just one question, again what I said above may still apply - she may have known what you were going to say so just finished it to move on. If she was finishing lots of questions for you that is not the usual way to do things, so I can't explain why she may have decided to do it. It shouldn't affect your score though. 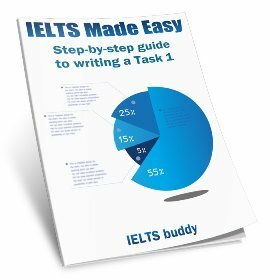 Will I fail the IELTS speaking test if I did not answer the last question? During the speaking test, i missed a question, the last question. the examiner suddenly said that that's the end of the speaking test and I went blur. Will I fail the speaking test? 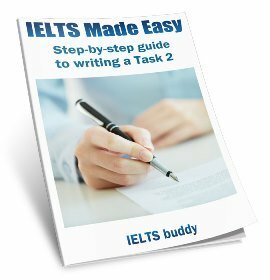 Comments for Will I fail the IELTS speaking test if I did not answer the last question? Firstly, you can't "fail" IELTS. Remember you are given a band score - a lower achievement in the test in some criteria may lead to a lower score. I don't know exactly what happened in your case, but remember it is assessed over the whole of your speaking test, not just on one question. So that may not have affected your score. Also, if the examiner stopped you then the time may have run out for the test, or nearly run out, so it may not be that you did anything wrong. So I would not worry about it too much. Today I took my 2nd IELTS speaking exam. In 1st one I got band score 6, today I was there to get 6,5. But I have made big 2 mistakes. First mistake was, when I describe an advertisement I forgot the things name and I said to examiner sorry but I forget the name of the stuff. My second mistake was, I couldn't understand examiner question, so I gave a different answer (I was so stressed) but before end of the exam she asked me the same question. Finally I understood and replied. So did I fail on my exam is there any chance to still get 6.5 or at least 6 again with those big mistakes. If couldn't get at least band 6 there is no mean to pass writing exam. Tomorrow I have writing exam but I don't have any hope or wish. You've just picked out a couple of errors, so it's really not possible to say if that will affect your score. And it may not necessarily matter if you forgot the name of the thing you were describing. As I said to the previous person, you are marked on lots of things over the whole test so it's really possible to pick a couple of things out and analyse your score on that basis. You'll really just have to wait for the result. I gave my speaking exam on 16th November. I was very confident before the test and I was certain that my test would go well. However, when I walked out of that door i was a little disappointed. I was asked a few regular questions about myself which I could answer correctly. When she asked me if I was a student or working i said i am working for a startup which is into fashion marketing. She interrogated why did i choose such a job to which I tried giving an elaborate answer like how I found my previous job monotonous and hence switched my job. She did not let me complete my last word and moved on to the next question and i got a little worried about that. She started asking me about my personality and what trait i like about my personality. I kept on talking about optimism and how I am able to help my friends and family because of this trait of mine. However, she asked me a question which I absolutely did not have any idea about, at least at that moment so instead of staying mum i said I am sorry I did not comprehend that topic very well. So she said let's move on then. I had read that even if you don't comprehend a question you can tell them that because that is a part of 'speaking'. I got a little worried after that. I have been anxious. Also, because we have to speak at length i feel i could have gone a little haywire. I might have even sounded a little eccentric. I used some fancy vocabulary, whatever came out naturally. So in this forum I really want some views on this. I have my reading, listening, writing test tomorrow. In the first two points you make, they are are most probably just related to timings, not your speaking. The test is a maximum of 14 minutes so the examiner will have to move it along at times to make sure he/she can get through all three sections. So if your examiner stopped you mid sentence or moved on when you did not understand a question it will just be for those reasons. As for your other points, it's impossible to know if you were 'eccentric' as you put it or to comment on your vocabulary. I had a speaking exam yesterday. The examiner asked me lots of question and she was telling me to answer more. Will it affect my score? It's really impossible to predict a score without hearing the test so you really need to just wait for the result. I had speaking test yesterday.. I had speaking test yesterday. 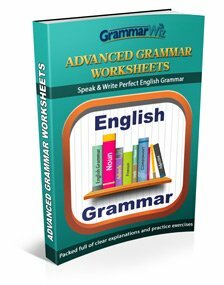 The examiner won't stop you anywhere in the speaking test because you are making grammar mistakes (though of course you are graded on your grammar). If you got stopped in the part 2 then your time was probably up, that's all. Examiner asked me lot of questions and I gave answer. In middle she was asking another question. Not let me complete my answer. That probably just means you had said enough on the question she had asked you and she wanted to move on. The examiner will want to ask you quite a few questions so they can hear your ability to answer different types of question. So what probabiliy score I can get? It's completely impossible for anyone to know that without hearing your test. I gave shorter response in part 2, I think around 1 minute. Then she asked follow up questions related to marriage. Nearly 8 questions. When I am giving responses on the final one I just spoke two words and she asked me stop. I did well in part 1 and 3. I don't really understand because in the title of the post you refer to part 3, but then in your post it seems you are worried about part 2. But if it is part 3 you are worried about, no it does not matter if she had already asked you 8 questions. She would have just stopped you because it was the end of the test.